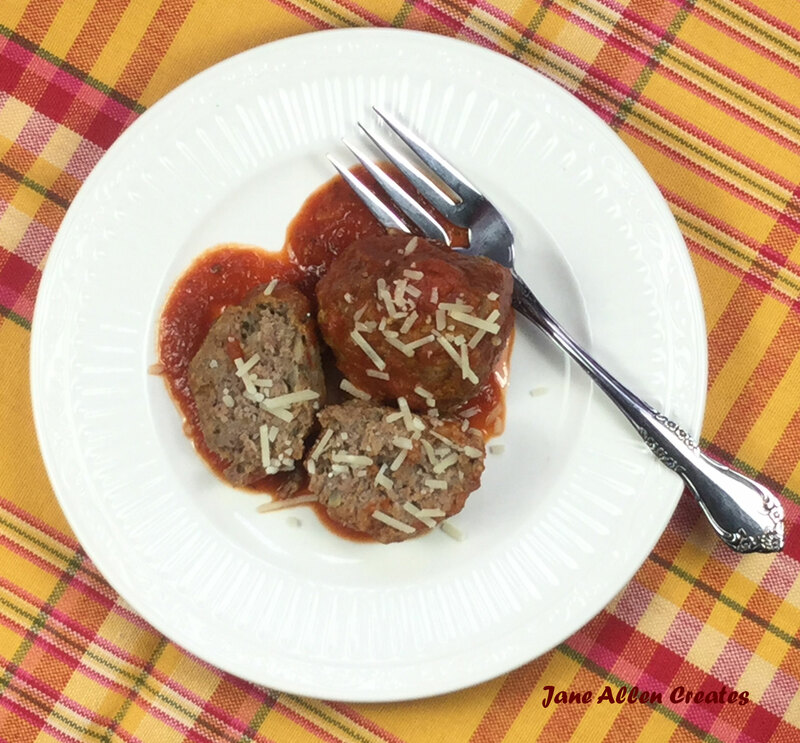 I have always been a big fan of spaghetti and meatballs and for years I used a recipe from my uncle. A couple of years ago this recipe showed up in my Cook’s Country magazine and I thought I would give them a try…they are now my new favorite. To me the thing that makes these meatballs so tasty is sautéing the onions before adding them to the meatballs. For the recipe you will want to sauté the onions using olive oil for 10 to 15 minutes until brown. Then add the additional seasonings and cook until fragrant about 30 seconds. In the meantime, adjust oven rack to upper-middle position and heat oven to 475 degrees. Mash bread and milk together in bowl with onion mixture until thoroughly combined. Add sausage, Parmesan, parsley, eggs, garlic, and salt, and mash to combine. Add beef and gently knead with hands until combined (do not overwork). Form mixture into 16 (2 ½ inch ) meatballs, place on rimmed baking sheet and bake until well browned, about 20 minutes. Even though I try to make my meatballs larger I end up getting more than the recipe calls for. I like the convenience of having these in my freezer for a quick meal. So after removing them from the oven, I place them on a foil lined baking sheet and put them in the freezer. Once frozen I place them in a freezer bag and take them out as needed. If you want to eat them without sauce just cook them a little longer and make sure they are done in the center. I like to use the store brand pre-made tomato basil sauce with mine. Just simmer for about 15 minutes. These are great as an appetizer or as a meal. These look yummy! I printed the recipe to try! Thanks Lynn, I hope you like them. Hope Al didn’t need to wait to long to try the meatballs! Looks Yummy! 🙂 he always test a few when they come out of the oven. That’s my boy! I made these for two different gatherings this holiday and they were a hit! Freda, thank you for sharing, so glad that you liked them.